Hey ya'll! 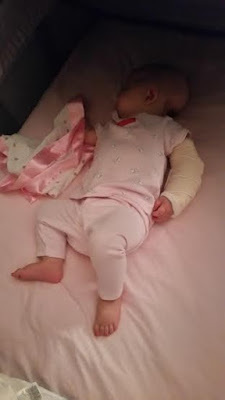 Have to make this post quick because I have a precious little girl with her arm in a splint that I want to spend every second with...yup...our first visit to the ER came entirely too early. I always envisioned this visit being because our toddler tumbled down some of our 3 flights of stairs or fell outside rough-housing with Emma Jo, not because she was doing what her little body seems to do almost all day. Long story short, Mama and I had been shopping all day with Andi and she had just dropped me off back home. Andi had rolled over and was face down on our master bed so, as I've done 300 times, I went to roll her back over. Ya'll - my world stopped. 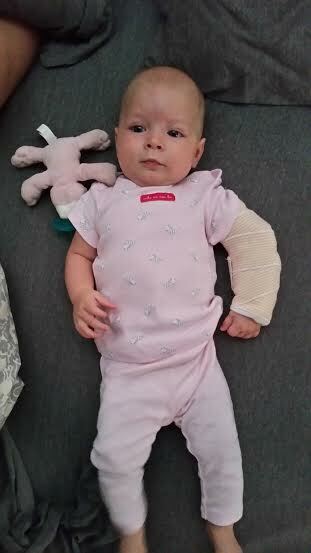 Her little left arm was hung up and I heard the worst cracking sound I've ever heard in my entire life. Not a popping like your joints, a crack. I instantly screamed and became hysterical as did she. She wouldn't move her left arm and just screamed with tears streaming. I had my phone and called Mom to turn around immediately since she wasn't too far away and she's an RN. She came in and we called the rescue squad. They looked her over and decided it didn't seem like any clear breaks. 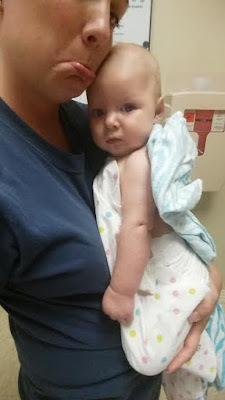 We decided to head on to the hospital and have x-rays done (and I am so glad we did) We were seen pretty quickly and after millions of tears, snuggles and two x-rays it was determined she had a spiral fracture to her left humerus. I was devastated and almost collapsed. Andi was such a trooper throughout the entire process. She clung to me and smiled and giggled like she was totally fine...Mama on the other hand? Not so much. Hubby was away working so I am so thankful that my Mom was with me because next the unthinkable happened..... I was informed that Child Protective Services had to investigate and I would be speaking to a forensics nurse while they whisked my child away from me for more pictures and head-to-toe x-rays. I have NEVER cried so much even though I know it was protocol for them to be doing this. WHEW - so hug your little ones tighter today and excuse us while we go catch up on some rest and snuggles. 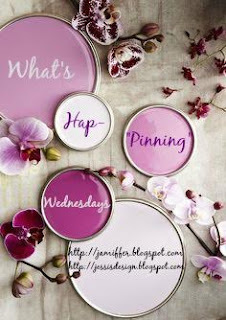 Thank ya'll so much for linking up today with Jenn and myself and I can't wait to sit down and catch up on what's hap-"pinning"! Taking it like a happy little champ! Oh my goodness, gracious!! I can't even imagine!! Poor Andi, poor momma!! Oh my Lord, Mama. I'm so sorry you and Andi had to deal with all that. I understand that the protocol is in place for a reason, but I can just imagine how terrifying it must have been to have had to deal with CPS while worrying about your sweet girl. I hate that! 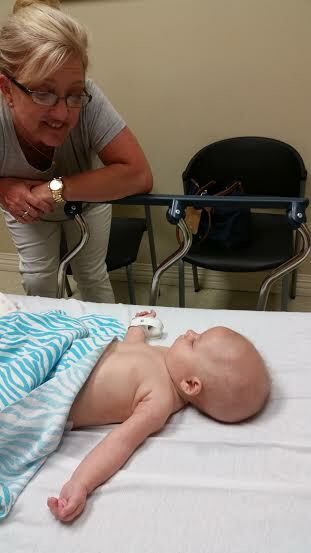 Praying that sweet little Andi's arm heals up soon and that there is nothing further to cause any problems!!! Oh no! I am glad that everything is ok and I hope that she recovers quickly! 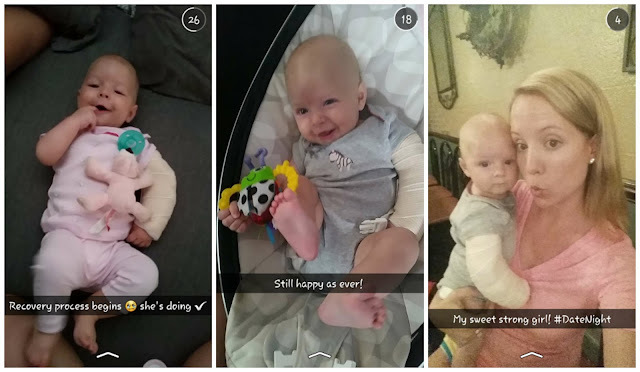 Poor little girl :( Hang in there, mama! Oh no! That sounds so scary. I'm so glad to hear that everything is okay and I hope she continues to heal up quickly! Oh how scary! And CPS?! How scary! Thank goodness you had your mom for support! 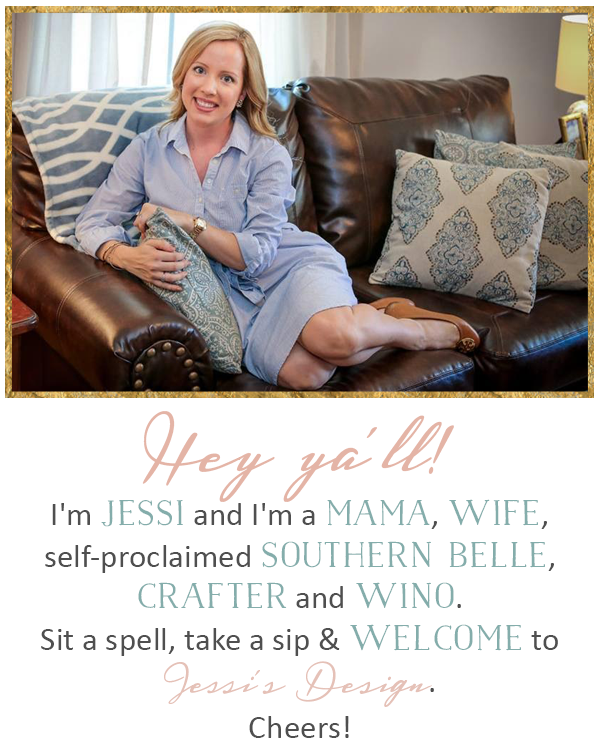 Bless your heart!! I am so so sorry! What a scary experience. Praying for healing! Poor Andi girl! I am so sorry that this happened! How terrifying, and then to deal with CPS on top of that?! Talk about the worst day! Prayers for her appointment today! Oh my goodness! Sweet baby and sweet mama! Breaks my heart!! I hope all is going smoothly at the doctor. What a terrible day. Thank goodness she is okay. I will be praying!! I was so scared when I saw this yesterday but glad that she is doing well and handling it like a little trooper!! Sending you all lots of love and prayers for quick healing!! Oh my goodness, you poor thing! That sounds so, so awful! It looks like she is handling it so well, though, and hopefully you are too! Lots of happy thoughts going your way! Prayers to Miss Andi for a quick recovery - that doll looks darling in her little splint though! Glad she's doing well with handling it! Poor girl but look how sweet she is, what a trooper! Hope her arm heals asap! Aww poor thing! That must have been terrifying! I'm glad she's ok though and still has a smile on her face :) Praying for a quick recovery!! Sending much love and good vibes your way. 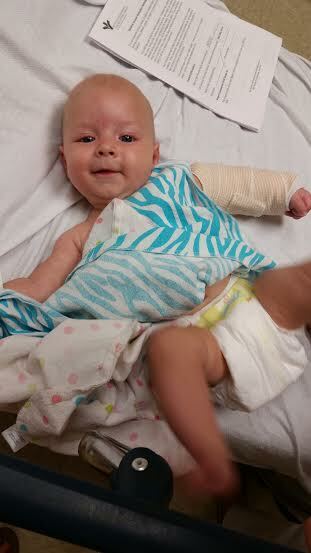 Glad she is ok, she is the cutest little baby. Hope she feels better soon and you too.